Summer is around the corner in Ottawa. Why not cool off with Ice Cream and Gelato? Yes, there are the big ones like Dairy Queen, Baskin Robins, Laura Secord and etc. I find the big places are safe with flavours and if they have Vegan options too. So I asked people online which was mostly from Facebook. 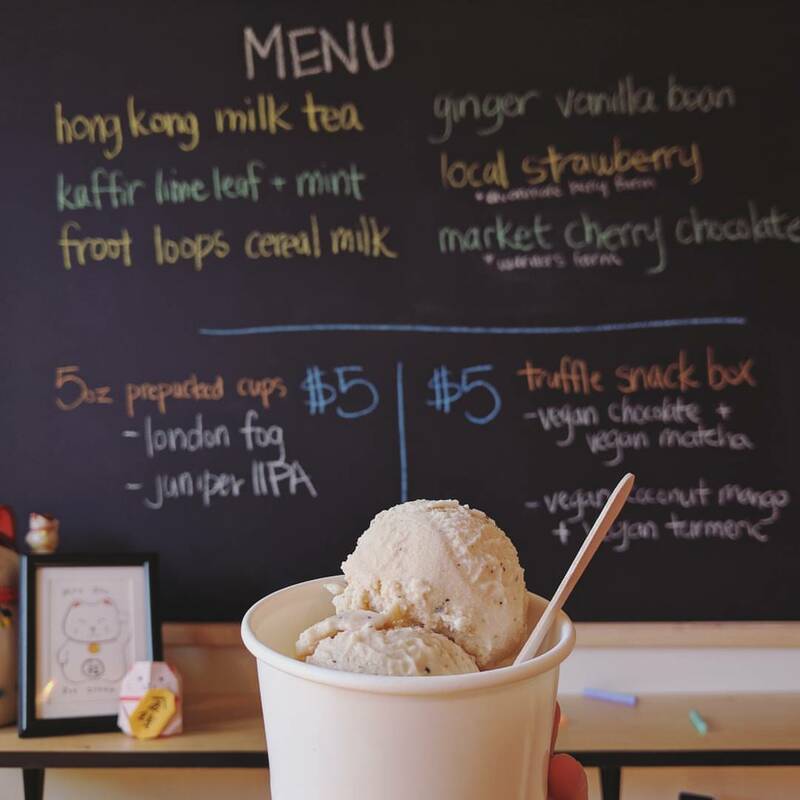 Here are the responses I got for Ice Cream and Gelato places you should support locally. If you like to add others, please comment on the bottom. Moo Shu Ice Cream on 477 Bank St had the most responses. Their mainstay flavours are Hong Kong Milk Tea (Haven’t had it but can actually taste it), Black Sesame (I know what it will taste like), Ginger Vanilla Bean, Lime Leaf + Fresh, Mint (Apr – Nov), Local Strawberry (Really good) and Vegan Chocolate. They also have rotating flavours which you can check on their site. Stella Luna on 1103 Bank Street and 1130 Wellington Street West had the most responses for Gelato. Image from The Lemon Kitchen. The Merry Dairy on 102 Fairmont Ave. Started as a truck and now has a mainstay location. Three styles of hand-made original recipe premium ice cream: frozen custard (midwestern style), hard-scoop (premium ice cream) and soft serve (Jersey-style) custard as well as handmade Merry Pops, shakes and sandwiches. They don’t use any nuts or peanuts and make their scooped ice cream in small batches with a constantly rotating selection of new flavours. Little Jo Berry’s on Chocolat Favouris. Their vegan selections made by Oat & Mill are Cereal Milk, Banoffee Pie, Raspberry Lime Cheezecake and Rocky Road. Their ice cream sandwiches are my favourite!! Not familiar with that place but someone mentioned it. Mantovani Gelato on 87 Murray St. Pure Gelato on 350 Elgin St and 843 Bank St. The Beachconers on 273 Britannia Road. La Cigale on 14 Scott St, Chelsea Quebec. Not familiar but somoene suggested it.